David Tennant and Catherine Tate are reuniting with Bernard Cribbins and Jacqueline King in a new collection of Tenth Doctor audio adventures from Big Finish, out next year. 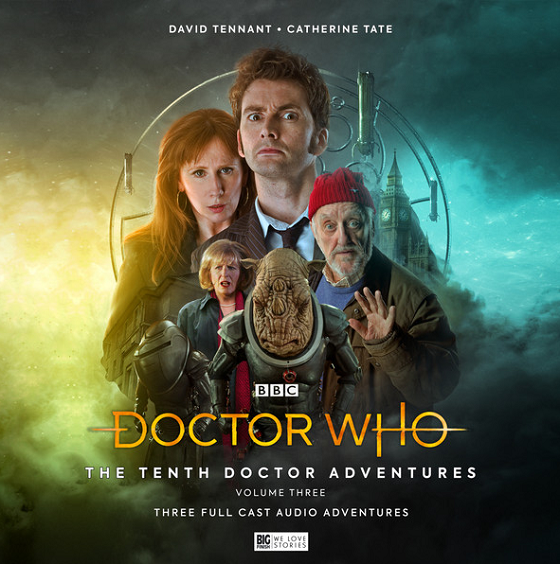 The Tenth Doctor Adventures, Volume Three, is scheduled for a May release and includes the stories: No Place by James Goss; One Mile Down by Jenny T Colgan; and The Creeping Death by Roy Gill. The box set is available for pre-order now.